The kitchen island is a focal point, prep space, and even offers casual seating in the kitchen. The challenge is to build a kitchen island that complements the design of the home while providing practical functionality. Here are some factors to consider when choosing a kitchen island. Choose a countertop material for the kitchen island that complements the rest of the kitchen. The type of material for the kitchen island countertop depends on the colors, design, and décor of the home. 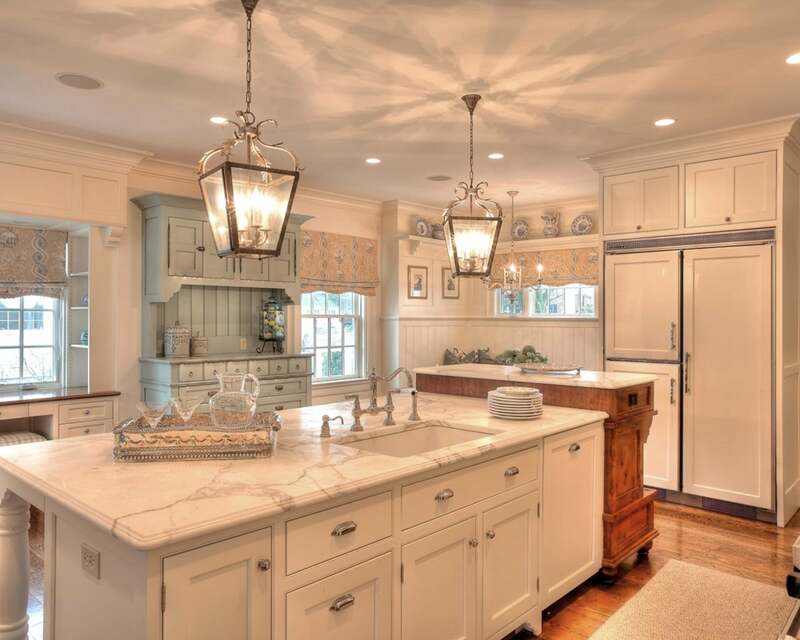 Traditional granite and marble countertops provide a classic look. Choosing a solid color countertop can complement other style elements of the kitchen. A non-traditional material such as wood, tile, or metal can add unexpected style to the kitchen island. A waterfall style island adds contemporary elegance to the kitchen. The type of kitchen island you choose will shape the look and feel of the kitchen. 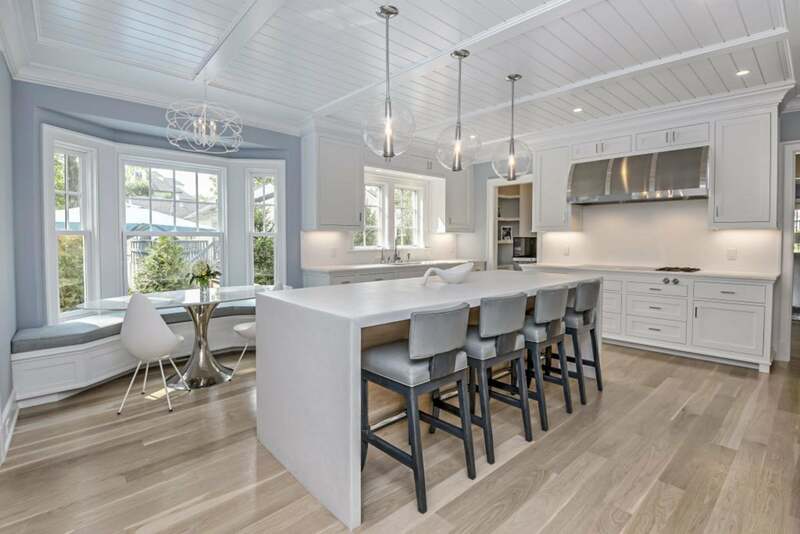 A waterfall island will give the kitchen an elegant, contemporary look, while a double tiered island provides visual spacing for various functions. Our team of experts can walk you through the process of choosing an island to fit your needs. A kitchen island sink adds functionality and practicality to the kitchen. A fully functional island equipped with plumbing and electricity can house another kitchen sink. Having a second sink in the kitchen can help ease the food prep process by adding another station to the kitchen. The kitchen island sink can be large, like the main kitchen sink, or it can be a smaller accent sink for handwashing and other small kitchen functions. A fully functional kitchen island allows for extra appliances. Another factor to consider with a fully functional kitchen island is the possibility to incorporate appliances into the island. Having a second oven or stovetop built into the kitchen island can improve functionality in the kitchen while saving space in other places. The appliances can be built into the structure of the kitchen island, or be added on top, like a stove range. 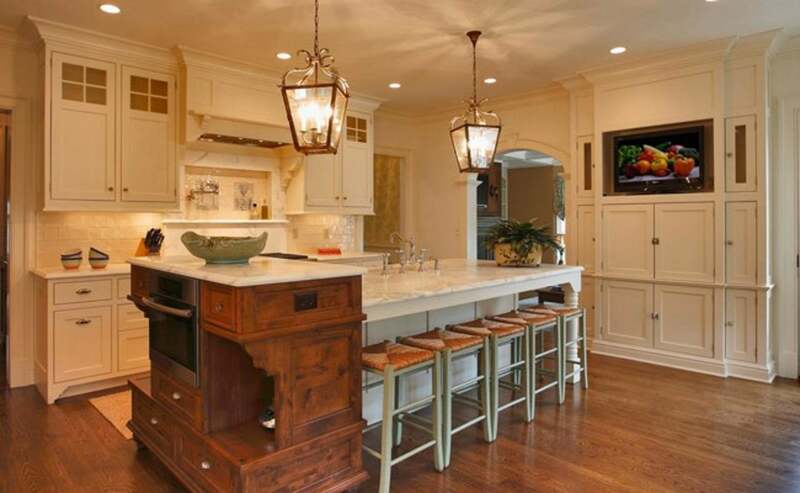 The kitchen island provides the possibility for additional seating. Beyond providing an extra food prep and cooking station, the kitchen island can offer extra seating in the kitchen. Adding a section in the kitchen island design for a breakfast bar can provide an easy casual space for a quick meal or conversation, without the need to move to the formal dining room. Consider the material of the seating at the kitchen island. Bar stools give a more laid-back vibe, while upholstered seating is more elegant. Kitchen island designs can add functionality and aesthetic value to the kitchen. When it comes to building or remodeling your kitchen, our team of experts can help you achieve your vision. Discover our design process and contact Country Club Homes today.